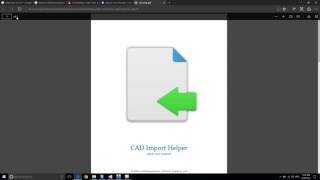 This app is helpful while creating 3D drawings from imported 2D drawings in Autodesk® Revit®. It enables you to turn ON / OFF the imported CAD Drawings. It’s easy to ON / OFF as all the drawings will be listed in ribbon panel.